Beautifully hand painted Crocus Girl Flower Fairy figurine. Optional gold string and wire pick included for securing in your display. Comes in a plain white box, not display box. A drum roll sounds and a hush falls over the crowd as the bright Crocus Fairies take the stage. Faster and faster they cavort, until they become a dazzling blur of colour. Round and round they whirl whilst the audience marvels at their dizzying speed! As the music crescendoes, the Crocus Fairies clap their hands in time to the beat and urge the audience to clap along. 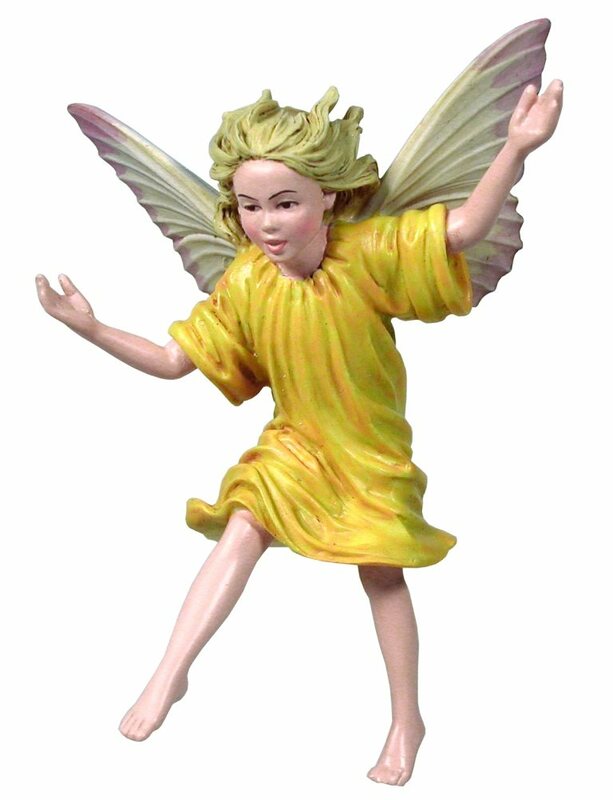 Beautifully hand painted Crocus Girl�Flower Fairy figurine. Optional gold string and wire pick included for securing in your display. Comes in a plain white box, not display box. The song of the coming again of Spring.